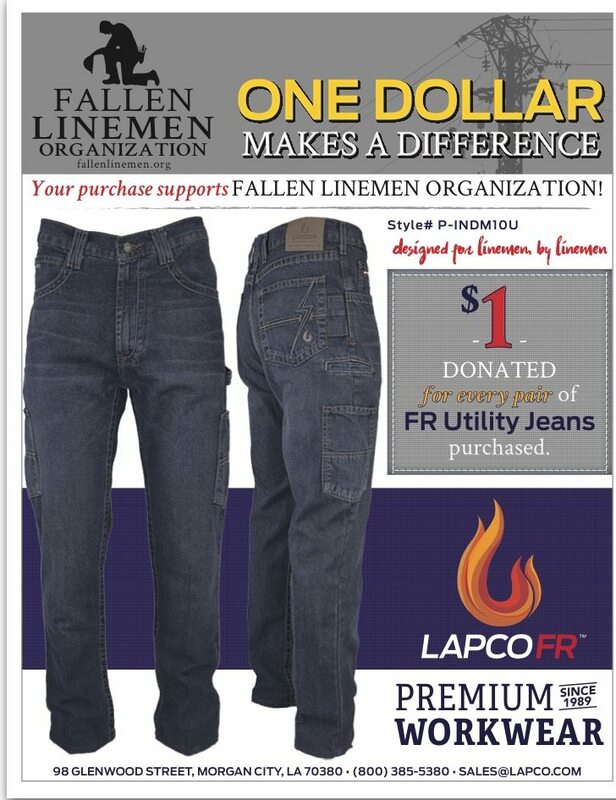 LAPCO FR has designed a great pair of FR jeans and they have decided that they wanted to use the FR jeans to give back to Fallen Linemen Organization. LAPCO will donate $1 for every pair of FR jeans sold, so we encourage you to buy yours today. If you do not currently have a LAPCO distributor, please contact Lani Boudreaux at lboudreaux@lapco.com.